My wonderful friend and—lucky me!—client (full disclosure here—we met when she hired me to do her apartment in Palm Beach, and we have become best friends, since she is charming, kind, and exceptionally endearing), Judith Giuliani, introduced me to this store. Because she is also a careful and considerate person with money, she loves T. J. Maxx. And thanks to her, so do I.
I don’t usually like outlet type stores—I am able to zoom up I-95 passing Freeport, Maine, without a tremor, not even a frisson of desire, -- they too often have especially made (and especially terrible quality) goods. After all, I am, in addition to being an interior decorator, a purveyor of the finest quality merchandise imaginable in my own beautiful boutique. But Judith kept telling me about the amazing bargains she got there, so last summer—without her—I was taking my adorable and wonderful housekeeper, Stiny, to Ellsworth for her day off. She loves to go to the stores in the strip malls there, and since I could never do so many nice things for her as she does for me, I was driving her to them. Right there, next to her favourite, The Fashion Bug, was a big old T. J. Maxx, so I decided to check it out while Stiny was in her choice of choices. In I went, got my shopping cart, and then spent a long, long time inside. Actually, it was great fun—and I did find some bargains. 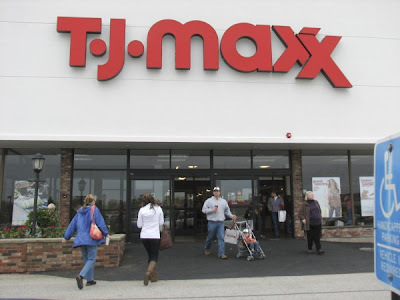 Now time has passed, and I have learned a lot—first of all, that the merchandise in the different T. J. Maxx stores is chosen for the location of the store. Supposedly, the best selection in clothing is for the store near Southampton. Well, that makes sense. And in the Ellsworth, Maine, store I found lots of Polo (Ralph Lauren) shirts—the short, somewhat cropped ones which I love (I am not very tall, and these are better for me that the longer ones). I have done a lot of comparison shopping on these—with the small horse (I HATE the big horse—I mean, who would wear that? ), and you can do almost as well price-wise at Belk’s, a little bit more at J. C. Penny’s, but the nice thing about T. J. Maxx, in addition to being the cheapest, was that there was a lot of other stuff there too. BARGAIN ALERT: always look in the sale section too. The things get looking a bit tatty there, but the prices go way down, and if you look carefully—a shirt had an opened seam on the neck, but that was easily fixed, and that shirt was only $11.00. The others were $24 each, and there was a good selection of colours—although I don’t like that bright turquoise I see so much in outlet stores. On that same day, I found a great Calvin Klein dress for 49.00. 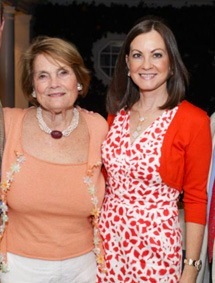 I wear it with a brown alligator belt and brown alligator flats proving the point that both Judith and I make—“you can get away with a cheaper dress if the accessories are good”—advice given to all of us by our mothers, but actually, as usual, quite correct. On another Stiny-Day-Off (full disclosure here—I take Stiny to the malls—she goes with me to the antique stores—we have such fun together. ), I found a great Ralph Lauren shoulder bag in brown leather, reduced from 595.00 to 149.00 which I bought as a Christmas present for one of the designers in my firm. 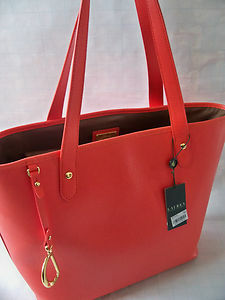 I found another great bag, which I was going to give away, but it matched exactly to a pair of orange Escada linen trousers I had, and with a blue blazer, well…….I am afraid I was a bit selfish. 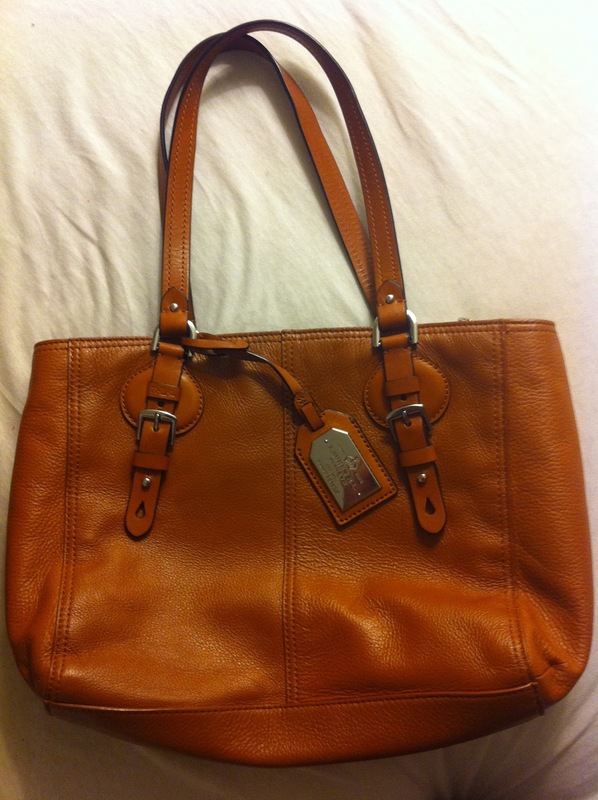 By the way, this picture was on E-bay for $249.00—such a deal, but at T. J. Maxx, it was $49.00. My find of finds was on the sale rack at the Palm Beach Gardens store—a black Escada tuxedo jacket—way to big for me, but reduced from $1500.00 to 69.00. Even after I had it re-tailored, it was a real steal—now at about $200.00, and I will wear it with black velvet jeans or white silk pants—with a great fish brooch which I happen to own sitting up on the shoulder. Basically nightgowns and underwear were awful. And I have yet to find a good pair of shoes at any of the stores to which I have gone. Bras were very iffy; same goes for underwear, unless you are very, very thin. There are lots of beauty products and shampoos, etc., at T J Maxx. 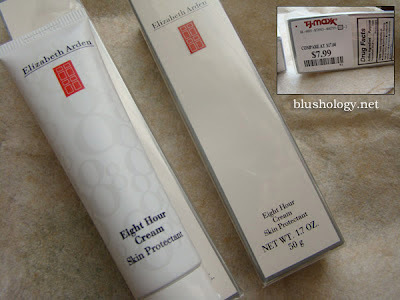 These can be controversial, as some people don’t like to buy this kind of product at an outlet store, but they have lots of different brands, including the grandmommy of creams, Elizabeth Arden’s Eight Hour Cream which lasts forever without going bad, and is THE product for your nails. Basically, I thought all of their main housewares were pretty terrible. Bad sheets of poly and cotton—although I guess if I looked there all the time, I might find some nicer ones—but sheets are my business and they just didn’t cut the mustard there. They seem to have an in with Ralph Lauren, but Ralph Lauren sheets are awful. Their towels can be okay though, and I did buy some towels for my pool in Maine at Marshall’s—a sister store of T. J. Maxx. But they seemed to have a better kitchen buyer. And one thing they seem to have in all their stores is the cookware from Cuisineart—I love this brand—I love the pots and pans. 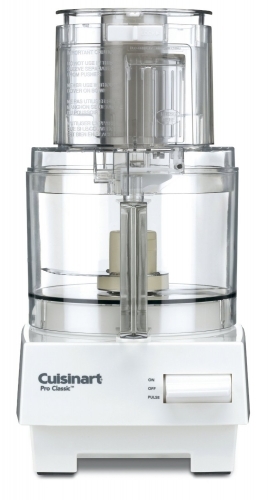 And of course, I love the food processor. I couldn’t have any house without one. Why are they about 60% off main line nice stores—and even better than bargain stores such as J. C. Penny except when they are having a sale. Then it’s anything goes. I wasn’t that pleased at all with Home Goods, their housewares store—basically cheap goods from the Pacific Rim. Maybe it will get better. At any rate, it’s a good way to spend a day while Stiny checks out The Fashion Bug, and we can always go grocery or antique shopping afterwards.